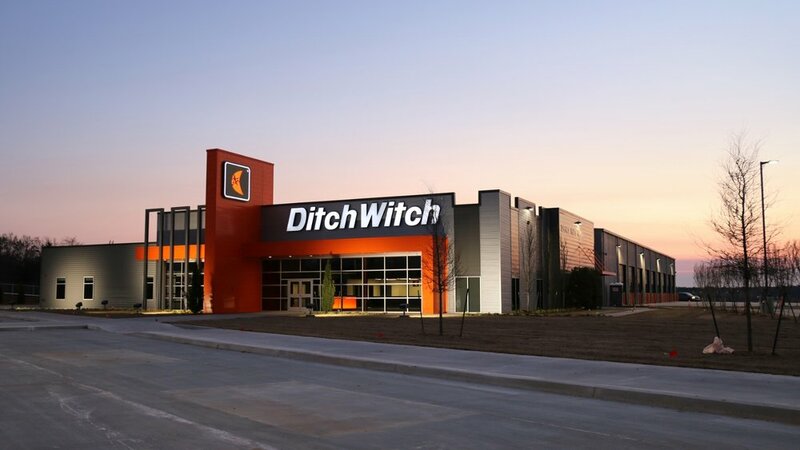 The Ditch Witch of Oklahoma dealership built by CMSWillowbrook will serve as the company’s new flagship for dealerships across the nation. 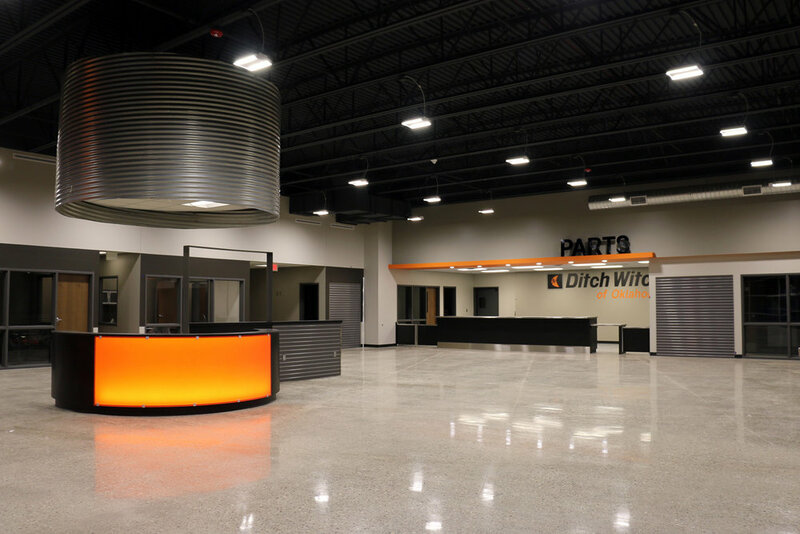 The project is a 30,000-square-foot building comprised of corporate offices, a sales floor, and maintenance and rental areas. 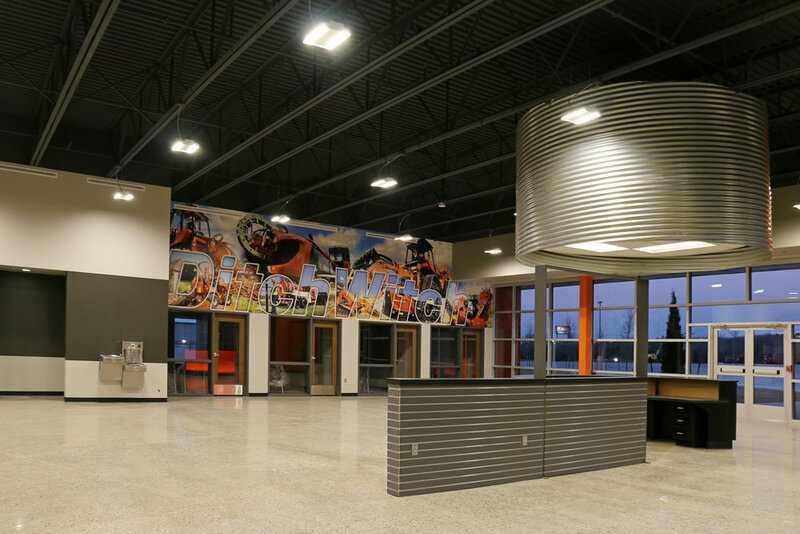 The project consists of a structural steel frame with architectural metal panels on the west end of the building. On the east end adjoining the structural steel is a 90-foot-by-120-foot pre-engineered metal building complete with oils rooms, parts and storage; 12 maintenance bays; and a bridge crane with a 50,000-pound loading capacity. 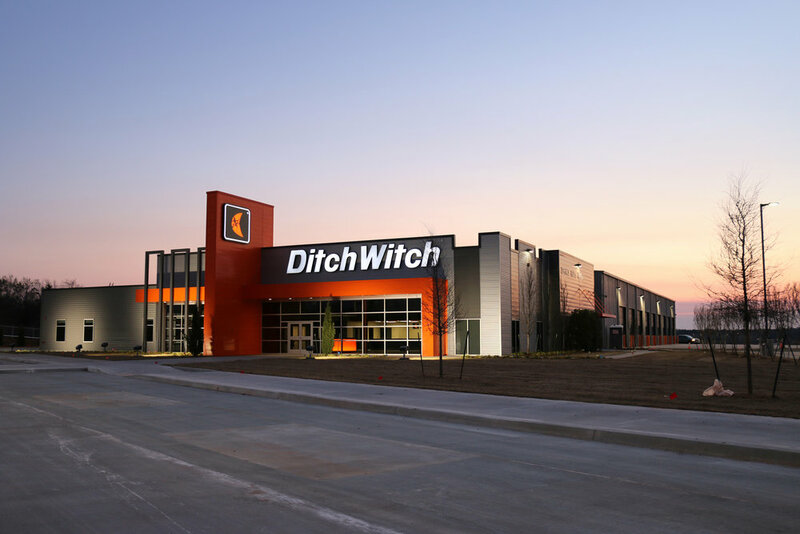 Despite many site development obstacles due to terrain and water management issues, the new building is the largest and highest-quality Ditch Witch facility in the country.